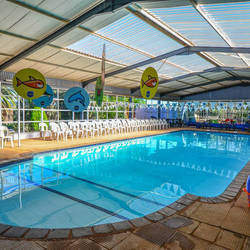 cost Ranges from R620 for Children and Adults per month dependent on membership type. PRIVATE LESSONS AVAILABLE. All lessons taught by internationally accredited teachers. - Parent or caregiver is encouraged to join swimmers under the age of 2 yrs. - Twice a week lessons are encouraged as kids learn by repetition. - We specifically cater for busy Mothers and working parents so lessons can be arranged simultaneously for kids of different ages. Although the objective of Swimming Stars™ International is focused on Water Safety (all ages), it is also important to provide a structured opportunity for the swimmer that decides on SWIMMING as a sport of choice. Structured Stroke Development Training as well as Elite Competition training is provided for in the program. 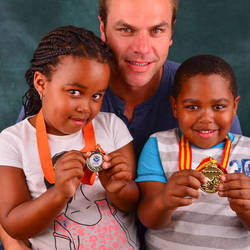 Swimming Stars™ International (SSI) is the product of combining the resources and passion for Learn to Swim [LTS] of Olympic Gold medallists Gustavo Borges (Brazil) and Ryk Neethling (South Africa). Embracing two continents SSI teaches more than 1 million LTS and Water Safety lessons annually. This is well researched, documented and proven educational level approach to the acquisition of aquatic survival abilities. Swimmers are motivated through play as the main method of acquiring new knowledge. Swimmers are rewarded for progress through quarterly evaluations, encouraging them till they qualify for a new level, thereby receiving.. a new coloured Swimming Cap as well as a certificate!